Metro Department Store is celebrating its 21th anniversary this month. 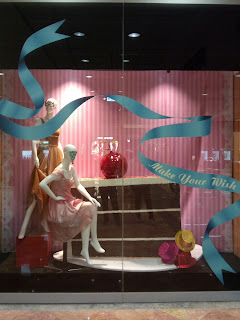 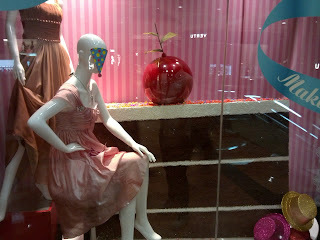 The total look of this local department store is very festive with pink colors as main color and many birthday party attributes. 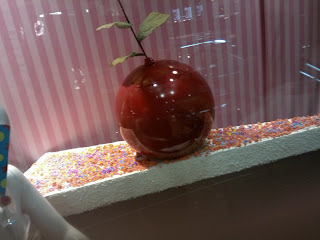 One interesting property is the giant cake on one of its window displays. It is a sliced chocolate cake with thick white cream on the top plus colorful sugar to brighten it and don't forget the red cherry as the complement.